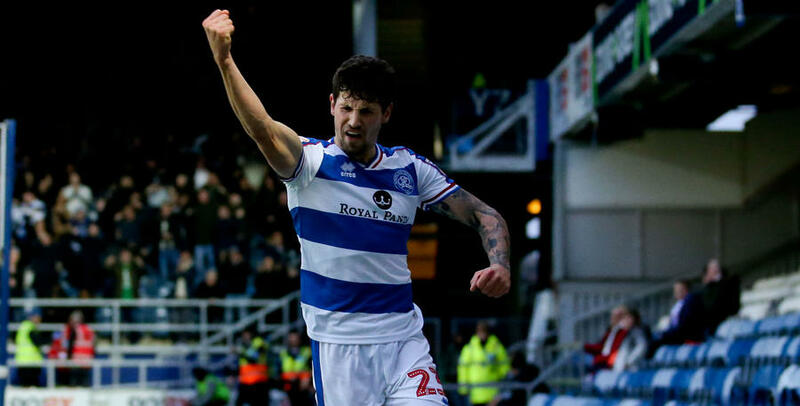 RANGERS racked up their third straight win thanks a comfortable 3-0 Sky Bet Championship success over Ipswich Town at Loftus Road. 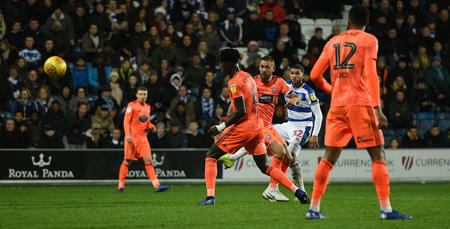 Following victories over promotion-chasing duo Nottingham Forest and Middlesbrough, QPR were ahead this time around when Pawel Wszolek poked home from close range in the 30th minute. Joel Lynch’s headed effort four minutes later doubled Rangers’ advantage, before Nahki Wells’ 74th-minute strike made sure of a season’s double over Paul Lambert’s Tractor Boys – sending the Hoops up to eighth in the league table in the process. After Saturday’s first-ever win at Forest, Rangers boss Steve McClaren was able to welcome back Lynch from injury for the visit of Ipswich. There was just one change to QPR’s starting XI in total. Lynch came back into the centre of defence, with Darnell Furlong moving out to right-back. Jordan Cousins dropped down to the substitutes’ bench. In a 4-4-1-1 formation, the R’s lined up as: Joe Lumley; Furlong, Toni Leistner (captain), Lynch, Jake Bidwell; Wszolek, Massimo Luongo, Josh Scowen, Luke Freeman; Ebere Eze; Wells. Rangers started brightly, twice going close inside the first five minutes. Less than a minute had been played when Eze’s angled drive forced a smart low save from Dean Gerken. Then, in the fifth minute, Freeman’s 25-yard free-kick was tipped over the bar by the visiting goalkeeper. In all, the first half wasn’t exactly a thriller, but there were opportunities throughout. In the 17th minute, Freeman picked out Wells six yards from goal, but the latter could only miskick when the ball zipped into his path. At the other end, Lumley was called into action for the first time on 23 minutes, producing a low stop to keep out Jon Nolan, while Ipswich’s Ellis Harrison fired wide from an acute angle three minutes later. It was Rangers who would ultimately lead come half-time, though, scoring twice before the interval to take command. McClaren’s men drew first blood on the half-hour mark. Ipswich surrendered possession in their own half and, when Wells’ 35-yard drive was only parried by Gerken, Wszolek followed up to shoot home at close range. And 1-0 became two just four minutes later. 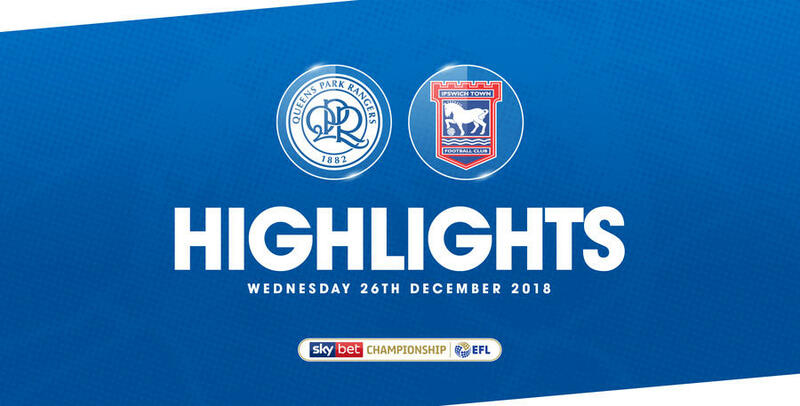 This time it was a set-play which led to the home side finding the net, with Lynch heading in a left-flank Freeman free-kick – via the hands of Gerken – to put the R’s firmly in the driving seat. Into the second half, and Rangers tested the visiting custodian once more straight after half-time. Freeman’s low blast was collected by Gerken at the second attempt. Two goals behind, Ipswich applied a little pressure thereafter. In the 52nd minute, Trevor Chalobah’s 25-yard effort was palmed around the post by Lumley. But Rangers never looked threatened and, in truth, the rest of the second period was rather unspectacular as a spectacle. The R’s opted for a first substitution in the 70th minute, with Eze making way for Ilias Chair. And it was that change which paved the way for QPR’s curtain-closing goal 16 minutes from time. After some patient approach play, sub Chair’s pull-back from the right was taken on by Wells, whose turn and shot from 14 yards arrowed into the opposite corner. Rangers had opportunities to add further gloss to the scoreline after that, with Wszolek seeing a shot blocked and Wells heading only inches wide, but it was the latter’s 74th-minute effort which rounded off the scoring. Three-nil to the Super Hoops. 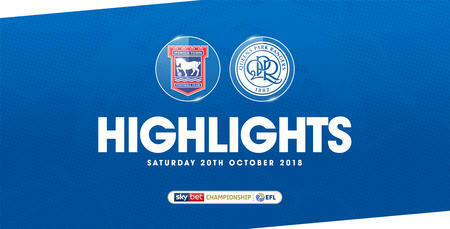 WATCH highlights from QPR's 3-0 win against Ipswich Town at Loftus Road.